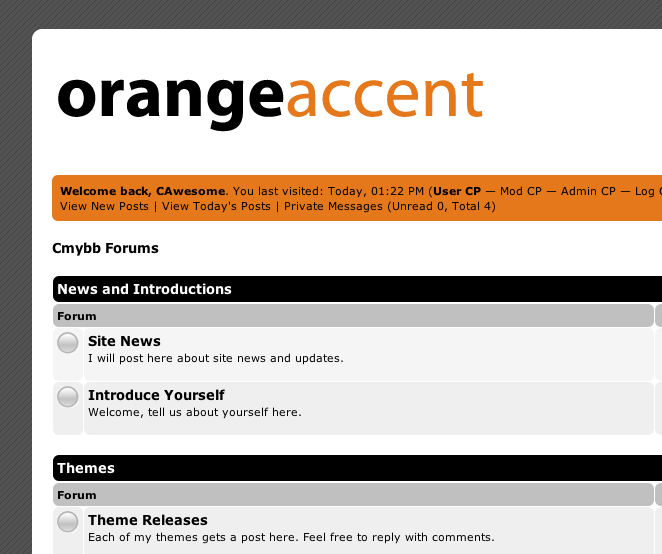 Cmybb.com is my site containing various MyBB themes I have put together (which can be downloaded for free). Occasionally, I will publish one here for... uhh... publicity. Not too much else to say about it, enjoy Orange Accent!